1 2 3 4 5 Click to share your rating 151 ratings (4.6/5.0 average) Thanks for your vote! 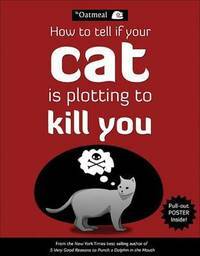 7.27% of people buy How to Tell If Your Cat is Plotting to Kill You and Texts from Dog ~ Paperback / softback ~ October Jones. "Very True To Your Cat!" 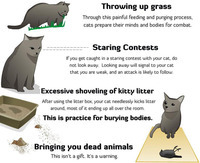 Its very true and on the mark to all the strange things that your cat does. A must for every cat owner. Totally worth it for a good laugh. This book has me in histerics everytime i pick it up! Awesome! I bought this for my Mother's birthday, because of the cat we have that I'm pretty sure is actually evil. I was very pleased with the book. It is bright, colourful and full of lovely pictures. Not to mention it is VERY FUNNY! 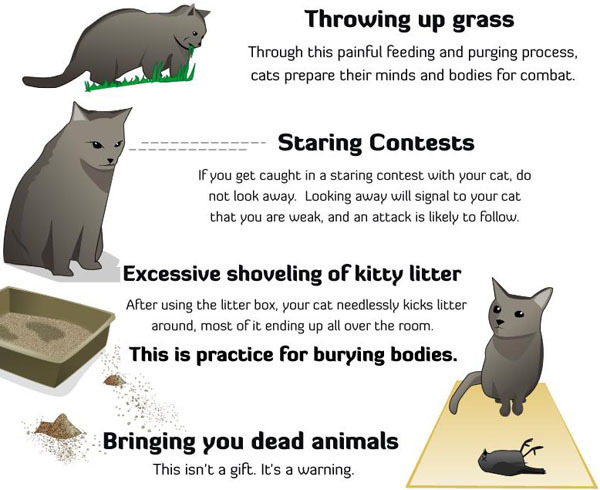 Especially if you have an evil cat like we do. Spent ages just looking through the book, laughing aloud to myself. I wanted to keep it in the end, but very reluctantly gave it to my Mum. Brilliantly whimsical yet oddly informative, TheOatmeal.com is an entertainment site full of comics, quizzes, and stories. Matthew Inman, creator of TheOatmeal.com, is a king of all trades when it comes to the Web. He writes, draws, and codes everything on the site, and his viral marketing skills make the site a huge success. 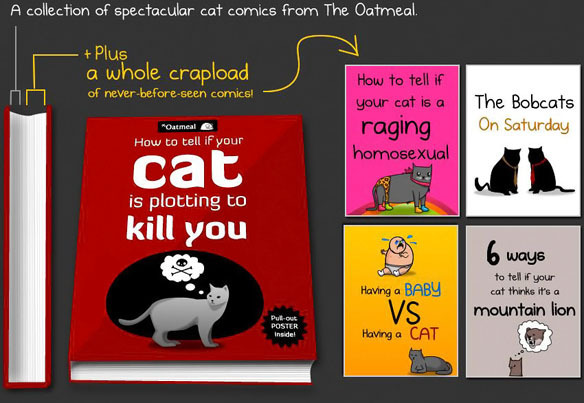 How to Tell If Your Cat Is Plotting to Kill You is a very funny, creative selection of comics, facts, and instructional guides, which all stem from the creative wonderland at TheOatmeal.com. The book will be designed to create suspense/anti­cipation with page turns analogous to the experience of scrolling down through the panels on the website. 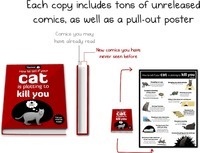 For example, “Cat vs. Internet” will use page turns to draw out the reader's anti­cipation of what the crafty kitty might do next to get attention from his Internet-fixated owner. 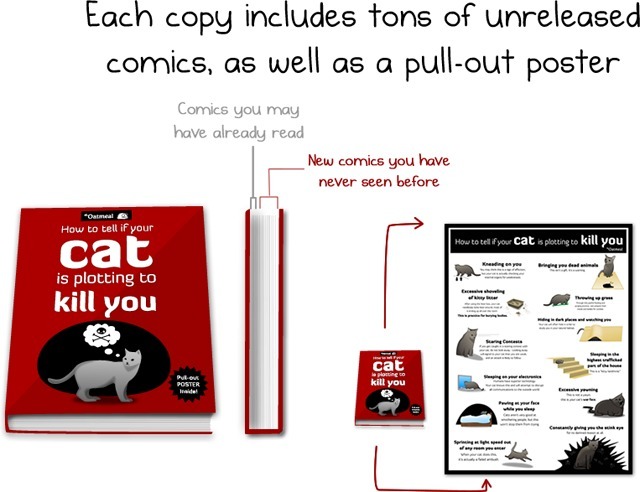 Other favourite cat comics include “How to Pet a Kitty,” “The Bobcats,” and “17 Things Worth Knowing About Your Cat.” A pull-out poster will be included at the back of the book.